This post is written with a special thanks to Maureen Lane and Maddie Frye of the Phillips Museum of Art for their kind help in allowing me to visit the archives to see the sword and to Rick Abel for the clues that he dug up from over twenty years ago. It's hard to think of an artifact that better facilitates telling the story of Lancaster and the Civil War than a presentation sword that the non-commissioned men and officers of the 79th Pennsylvania purchased and presented to Col. Henry A. Hambright in May 1863. As far as I'm aware, that sword has never been displayed publicly since it left Hambright's possession. On Monday morning, I got to see that sword for my first time when local collector Rick Abel and I visited the Phillips Museum of Art at Franklin and Marshall College. 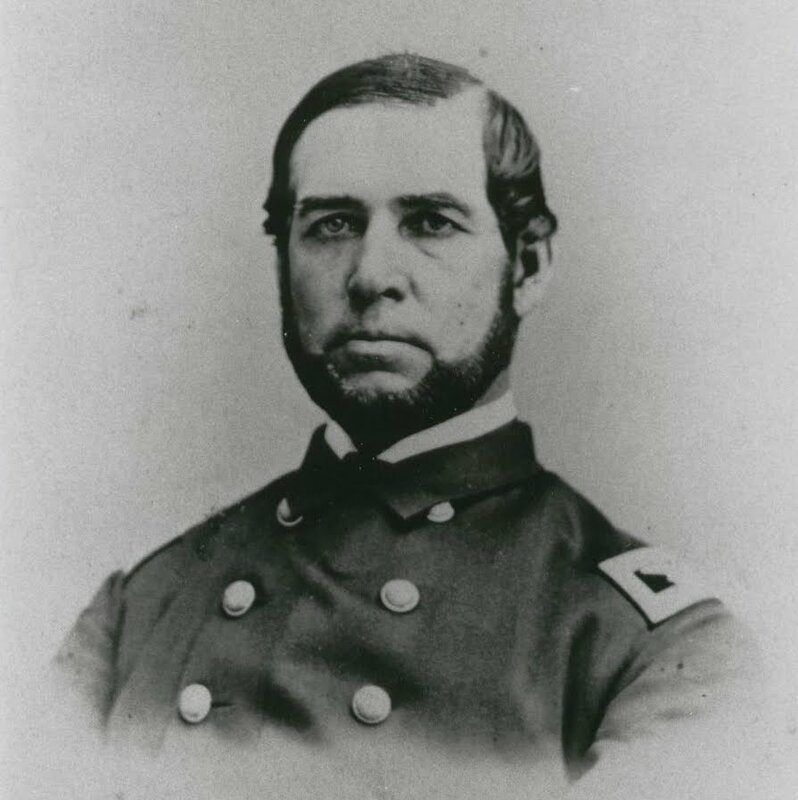 The non-commissioned officers and privates of the 79th have purchased a magnificent sword, accompanied with a belt, sash, set of spurs, and a pair of gauntlets, for Col. Hambright. The whole is enclosed in a rose-wood box, and is valued at nearly $400. The blade of the sword is composed of Demascus steel, and is slightly ornamented in gold and bears the inscription "God and my Country;" the hilt is set with rubies and a silver goddess of liberty with a rubic clasping a mantle over his breast, forms the gripe. The scabbard is heavily plated with gold, finely chasted, and and has inscribed on it, `"Presented to Col. H. A. Hambright, by the non-commissioned officers and privates of his regiment as a testimonial of their esteem for gallant conduct at the battles of Chaplin Hills, Ky., October 8, 1862, and Stone river, January 2, and 3, 1863." The sword was sent back to Lancaster shortly thereafter and displayed in the window of one of the stores on Centre Square. In my next post, I'll examine the speeches made during the presentation, as well as Hambright's relationship with the Lancaster community, especially the families of his soldiers, around this time In the meantime, enjoy the pictures of a beautiful set of artifacts. Hopefully, they'll have a chance to once again be put on display in Lancaster for the community to appreciate.